Reading and share top 4 famous quotes and sayings about Love Rhymes by famous authors and people. 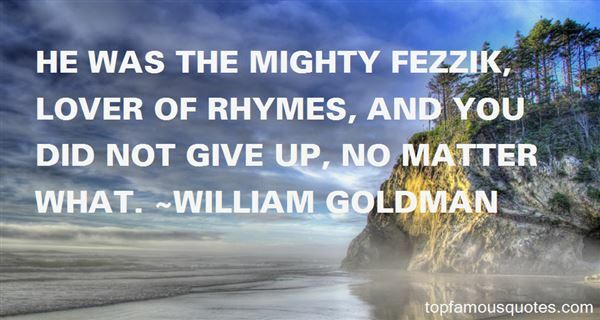 Browse top 4 famous quotes and sayings about Love Rhymes by most favorite authors. 1. 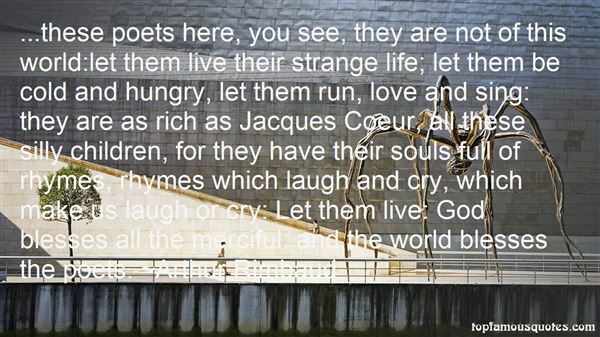 "...these poets here, you see, they are not of this world:let them live their strange life; let them be cold and hungry, let them run, love and sing: they are as rich as Jacques Coeur, all these silly children, for they have their souls full of rhymes, rhymes which laugh and cry, which make us laugh or cry: Let them live: God blesses all the merciful: and the world blesses the poets." 2. "But at times words can be a dangerous addition to music — they can pin it down. 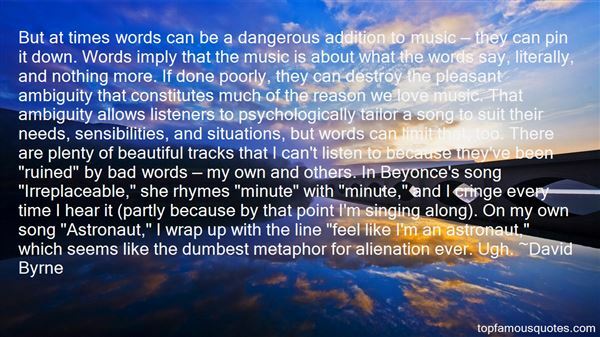 Words imply that the music is about what the words say, literally, and nothing more. If done poorly, they can destroy the pleasant ambiguity that constitutes much of the reason we love music. That ambiguity allows listeners to psychologically tailor a song to suit their needs, sensibilities, and situations, but words can limit that, too. There are plenty of beautiful tracks that I can't listen to because they've been "ruined" by bad words — my own and others. In Beyonce's song "Irreplaceable," she rhymes "minute" with "minute," and I cringe every time I hear it (partly because by that point I'm singing along). On my own song "Astronaut," I wrap up with the line "feel like I'm an astronaut," which seems like the dumbest metaphor for alienation ever. Ugh." 3. "I love to write rhymes that have that perfect jingle. You know what I'm saying when it makes your Heart tingle." 4. "He was the mighty Fezzik, lover of rhymes, and you did not give up, no matter what." I had not particularly liked the way in which he wrote about literature in Beginnings, and I was always on my guard if not outright hostile when any tincture of 'deconstruction' or 'postmodernism' was applied to my beloved canon of English writing, but when Edward talked about English literature and quoted from it, he passed the test that I always privately apply: Do you truly love this subject and could you bear to live for one moment if it was obliterated?"